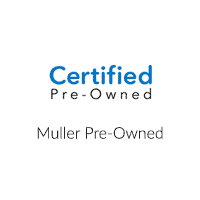 If you’re searching for used car dealerships near Chicago, then take advantage of the extensive inventory available at Muller Honda Pre-Owned. We want you to drive home in a used car you feel good about, which is why we thoroughly inspect each and every vehicle for quality. And because we want you to get a great used car deal, we offer plenty of used vehicle exclusive offers as well as vehicles under $10k to further sweeten the deal. At Muller Honda Pre-Owned, there are plenty of reasons to buy used. Our team will walk you through every step of the used car-buying process. Whether you need help deciding on a coupe vs. sedan or making financing decision on the CR-V vs. HR-V, we’ll even be there for you. Feel free to contact us in the meantime with any questions about our inventory. This is a 2011 CR-V SE AWD. CARFAX 1 owner and buyback guarantee. . Look!! Look!! Look!! . There is no better time than now to buy this rugged Vehicle... . Great MPG: 27 MPG Hwy*** . Call us at (847) 831-4100 for more information on this vehicle or to Schedule an Appointment for your Test Drive. This is a 2007 Odyssey EX-L. CARFAX 1 owner and buyback guarantee... . Oh yeah! . Isn't it time you got rid of that old clunker and got behind the wheel of this superior EX-L!! . . Call us at (847) 831-4100 for more information on this vehicle or to Schedule an Appointment for your Test Drive. This is a 2009 Fit Sport. CARFAX 1 owner and buyback guarantee** . Zoom Zoom Zoom! . This great Fit is the terrific-looking Vehicle you've been looking for* . This is the vehicle for you if you're looking to get great gas mileage on your way to work!! . Call us at (847) 831-4100 for more information on this vehicle or to Schedule an Appointment for your Test Drive. This is a 2010 Civic LX. Includes a CARFAX buyback guarantee* . Move quickly!! . This is the perfect, do-it-all car that is guaranteed to amaze you with its versatility.. . Gas miser!!! 36 MPG Hwy** . Call us at (847) 831-4100 for more information on this vehicle or to Schedule an Appointment for your Test Drive. This is a 2007 Element SC. Includes a CARFAX buyback guarantee!! . ELECTRIFYING!! . Are you interested in a simply fantastic car? Then take a look at this terrific Vehicle!!! . Need gas? I don't think so. At least not very much! 27 MPG Hwy. . Call us at (847) 831-4100 for more information on this vehicle or to Schedule an Appointment for your Test Drive. This is a 2009 Accord 2.4 LX. Includes a CARFAX buyback guarantee!! . Move quickly! . It just doesn't get any better!! This 2.4 LX is simply wonderful in every aspect. One of the finest cars around, you won't believe what you get for the money! . Gassss saverrrr!!! 30 MPG Hwy* . Call us at (847) 831-4100 for more information on this vehicle or to Schedule an Appointment for your Test Drive. This is a 2008 Odyssey EX-L. Includes a CARFAX buyback guarantee** . Stunning!! . Are you hunting for a car that you don't have to wonder if it will start in the morning? Well, this 2008 Honda Odyssey EX-L will have you excited to pick-up even your mother-in-law... . . Call us at (847) 831-4100 for more information on this vehicle or to Schedule an Appointment for your Test Drive. This is a 2012 Civic LX. Includes a CARFAX buyback guarantee!!! . Hold on to your seats!!! . A great vehicle at a great price is what we strive to achieve*** . Gassss saverrrr!!! 39 MPG Hwy** This 2012 Honda Civic LX has less than 65k miles... . Call us at (847) 831-4100 for more information on this vehicle or to Schedule an Appointment for your Test Drive. This is a 2012 Civic LX. CARFAX 1 owner and buyback guarantee... . Stunning!!! . No trip is too far, nor will it be too boring** . This gas-saving Sedan will get you where you need to go! Less than 66k Miles!!! . Call us at (847) 831-4100 for more information on this vehicle or to Schedule an Appointment for your Test Drive. This is a 2012 Civic LX. CARFAX 1 owner and buyback guarantee! . Fun and sporty! . No trip is too far, nor will it be too boring*** . Great MPG: 39 MPG Hwy. Less than 48k miles!!! You don't have to worry about depreciation on this admirable Vehicle!!!!!! . Call us at (847) 831-4100 for more information on this vehicle or to Schedule an Appointment for your Test Drive. This is a 2013 CR-V EX AWD. CARFAX 1 owner and buyback guarantee* . This car sparkles!! . You won't find a better SUV than this terrific Honda. Climb into this wonderful SUV, and when you roll down the street, people will definitely take notice!! . Gets Great Gas Mileage: 30 MPG Hwy... . Call us at (847) 831-4100 for more information on this vehicle or to Schedule an Appointment for your Test Drive. This is a 2012 CR-V EX-L AWD. CARFAX 1 owner and buyback guarantee! . All Around hero!!! . I'm what you call a smooth operator and you'll love every minute with me! I promise to show you off everywhere we go!!! . This is the vehicle for you if you're looking to get great gas mileage on your way to work*** . Call us at (847) 831-4100 for more information on this vehicle or to Schedule an Appointment for your Test Drive. This is a Accord EX-L V-6 Modern Steel Metallic. Muller Honda Offers: Free Lifetime Service Loaner, 1st Free Oil Change, Free Car Wash with Service and lot more. Call us at (847) 831-4200 for more information on this vehicle. We're very competitive on the Pricing so let us know what we need to do. You will not be disappointed.